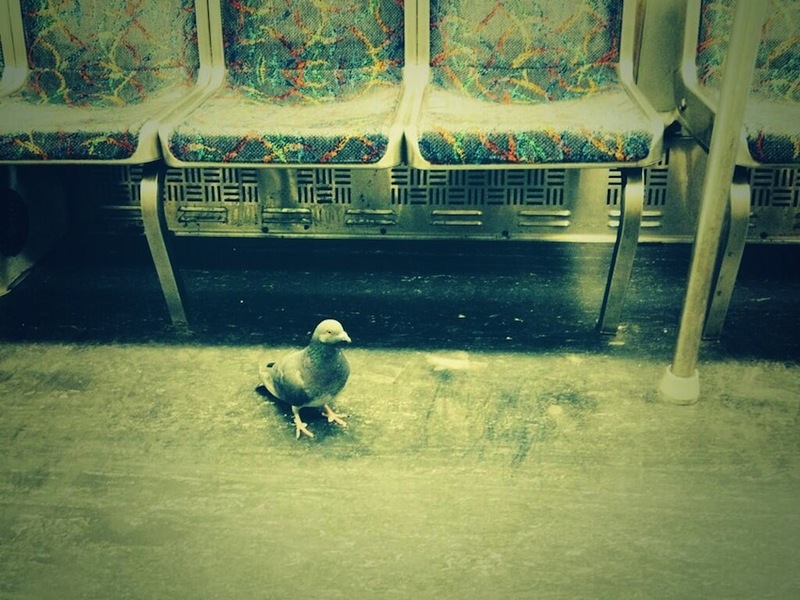 Why Are There So Many Pigeons On the MBTA? 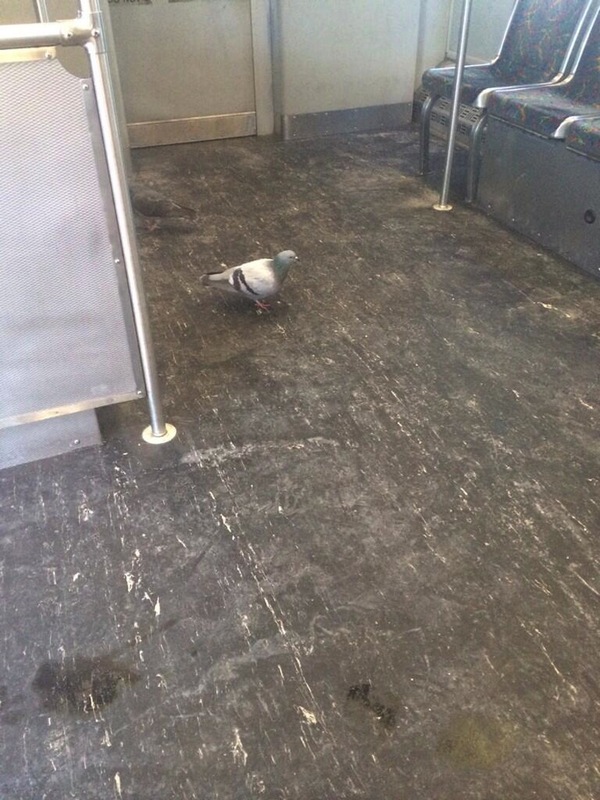 Why Are There So Many Pigeons Riding the MBTA? This transit system is for the birds. By Steve Annear·	 12/20/2013, 4:31 p.m. 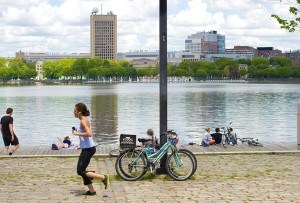 Most riders that frequent the underground transit system have seen mice, or rats, scurrying along the tracks of the MBTA. But there seems to be an influx of a different kind of animal flocking to the T these days. 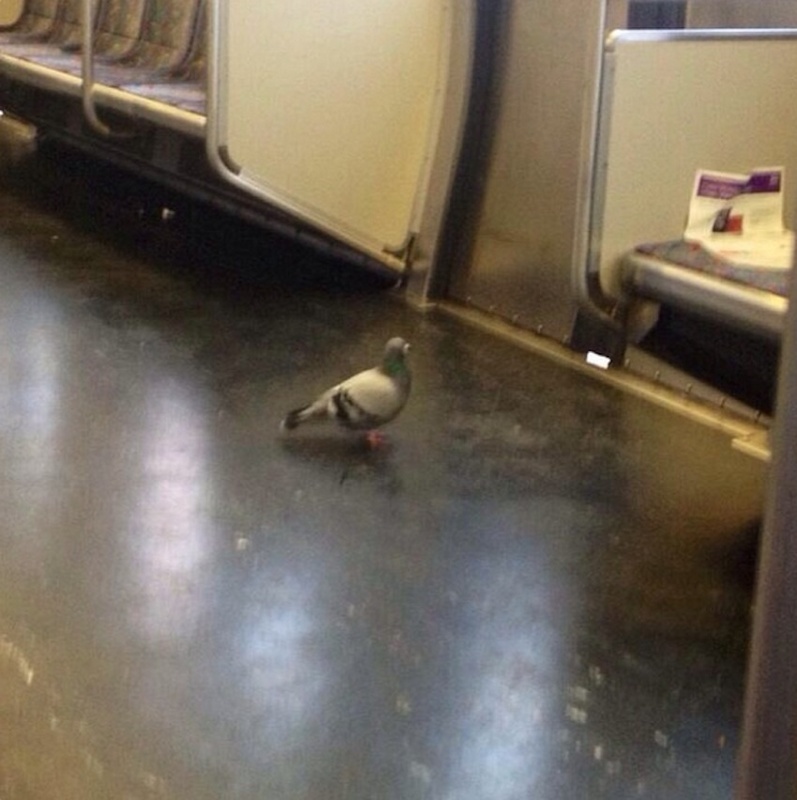 In the past week alone, four people have snapped photos of pigeons taking over both the Red and Orange Lines. 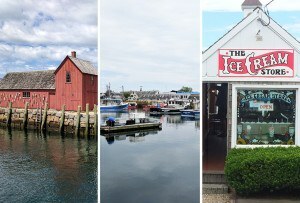 But these winged-rats aren’t merely showing up in the tunnels and searching for scraps discarded by littering passengers—the pigeons are actually hopping on the vehicles and going for a ride on the T.
“There is a pigeon on this train…Just [chilling],” said one rider on Friday afternoon. 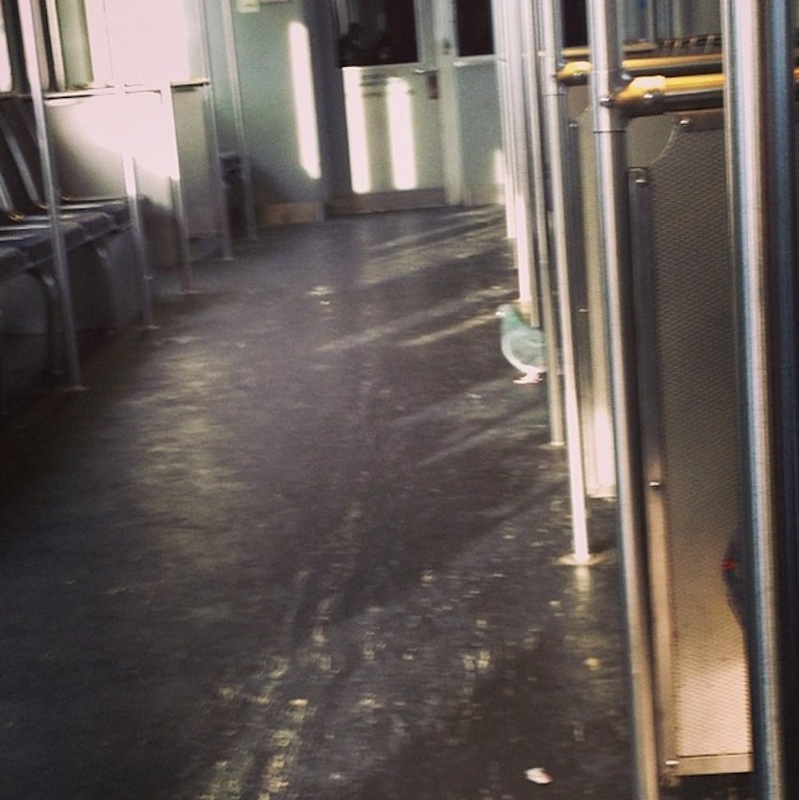 Courtney Gallagher caught this “pigeon commuter” on the Red Line on December 13, brazenly approaching her near her seat. “Just another day in the MBTA,” said Kenny Benjamin, as he sat on a Red Line train that same day, this time in Braintree.